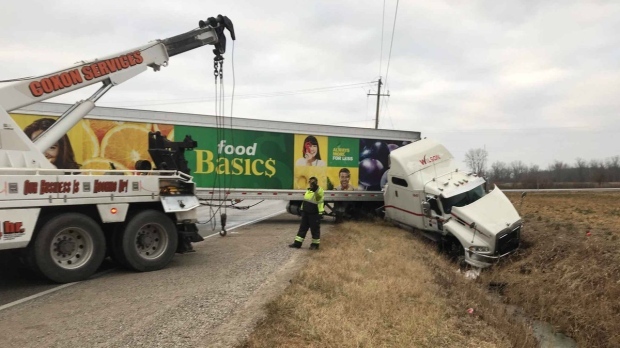 Essex County OPP say nobody was seriously hurt after a transport truck crash in Tecumseh. Emergency crews were called to Manning Road near Baseline Road on Wednesday. Police are warning drivers of slippery roads in the area.